The Wolverine [Armored Missile Vehicle] was first released boxed in U.S. toy stores in 1983. It included the driver, Cover Girl. It was also sold in 1984 and was discontinued in 1985. The Wolverine was available from Hasbro Direct via mail-away offers from 1985 until 1987. Cover Girl was released as part of the second series (1983), packaged exclusively with the Wolverine Missile Tank. 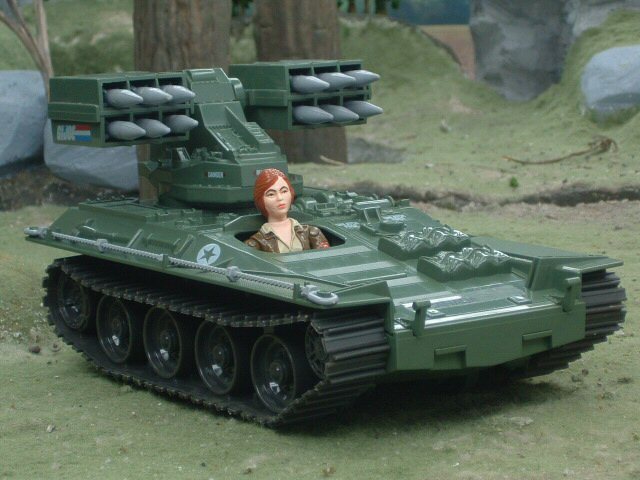 Cover Girl and the Wolverine Missile Tank were also sold in 1984. Cover Girl was discontinued in 1985. Cover Girl came with no accessories.